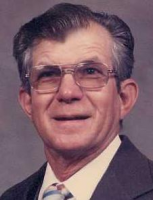 James E. Lawrence Sr., 76, of Frankfort passed away December 13, 2012 in his home. He was born January 16, 1936 in Geneva County, Alabama to John D. and Effie May (Brooks) Lawrence. He married Barbara Fleenor on December 27, 1979 in Kingston, GA and she survives. ;James served in the United States Navy aboard an Amphibious Assault Personnel Carrier from 1952 to 1955 during the Korean War. He worked for 45 years for Miller Pipeline Construction as Superintendent and Foreman and retired in 1998. He was a member of Local 103 Operating Engineers Union. ;Surviving along with his wife are Sons: James E. (Angela) Lawrence Jr. of Macclenny, FL and Jerry D. Lawrence (Fiance: Jennifer Bailey) of Frankfort, IN, Daughter: Tammy Lynn (Charles) Lawrence Ross of Macclenny, FL, Step-sons: Timothy Brough of Pekin, IN and Irvin H. Brough Jr. of Clearwater, FL, Step-Daughter: Jackqueline (Jim) Thorton of Paoli, IN, and 6 Brothers. ;He was preceded in death by a son Ricky Lee, 1 brother, and 2 sisters. ;Services will be held at Noon Monday, December 17, 2012 at Archer-Weston Funeral Home and Cremation Service. Visitation will be from 10 a.m. until the time of service. Pastor Mark Mowery will officiate. Entombment will be in Green Lawn Mausoleum in Frankfort. I’m so sorry for your loss. Jim was a great guy and a great role model for my grandchildren who was his neighbor. You have our sympathy.